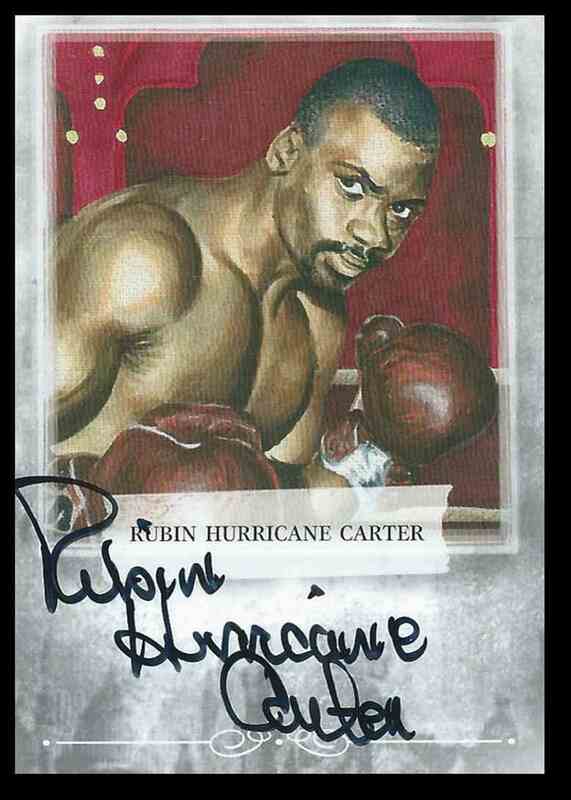 This is a autographed Boxing trading card of Rubin "Hurricane" Carter. 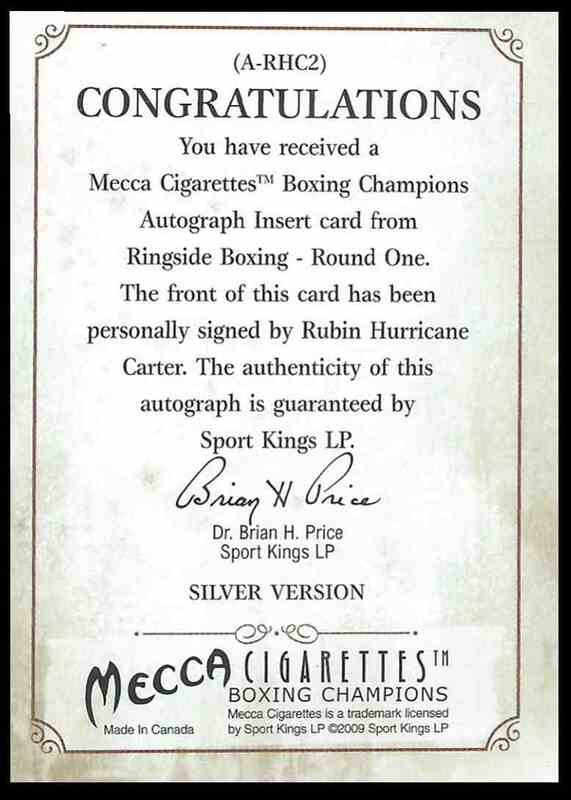 It comes from the 2009 Sport Kings Boxing Champs set, card number ARHC2. Silver. It is for sale at a price of $ 299.99.